Leaving the red cube in top view to start, use the two rotation sliders to make its projection lie completely inside the projection of the blue cube. 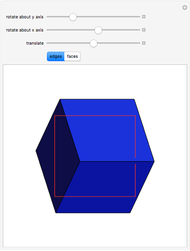 Now you can use the translate slider to pass the red cube back and forth through the blue cube. 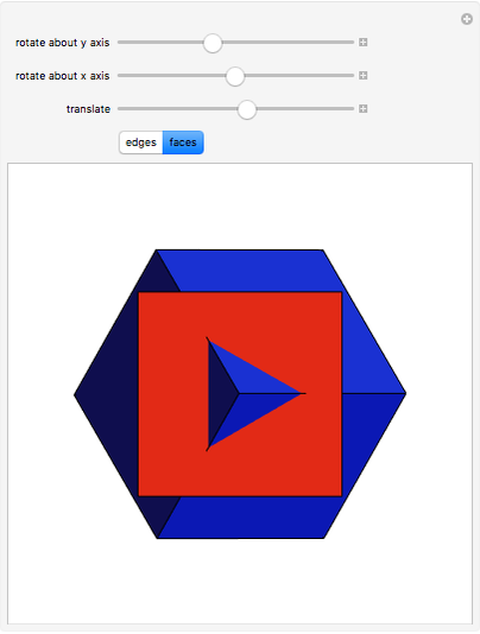 The part of the blue cube around the path of the red cube is a blue polyhedral ring. For a perspective view you can drag the graphic to rotate both cubes. George Beck "Passing a Cube through a Cube of the Same Size"